The Ministry of Foreign Affairs of Ethiopia said today that preparation of road-map to institutionalize cooperative relation between Ethiopia and Eritrea is ready. Part of the purpose is to regulation the relation in a range of areas. Border trade, port usage, custom, immigration and transport are some of the areas to be regulated through legal frame works which is already drafted and discussed, according to a report by Ethiopian Broadcasting Corporation (EBC). Dr. Workeneh Gebeyehu disclosed the information during his appearance at the 22 regular session of House of People’s Representative today to present his six months of report regarding what the ministry has been doing. The next step for the two countries to sign agreements of overall bilateral cooperation and establish a joint-commission which will oversee implementation of the agreements. Eritrea’s Minister for Information, Yemane Gebremeskel, disclosed today that high level committee of Ethiopia and Eritrea is undertaking consultations to regulate trade and transport. From what Mr Yemane tweeted, the consultations between authorities of the two countries is informed by experiences during the trial periods in the last four months. 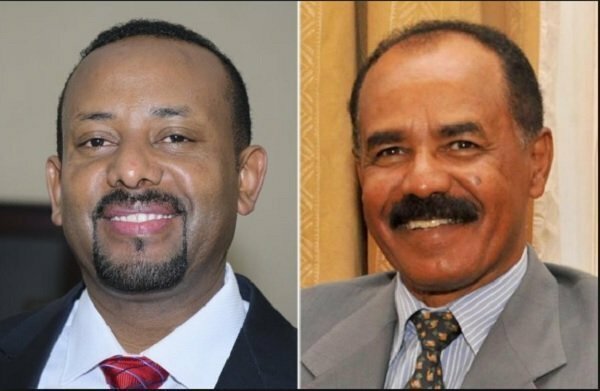 It is to be recalled that in late December 2018, Eritrea closed border along Zalambessa in Tigray – seemingly with intent to regulate the movement of people and trade to and from Eritrea. The border between the two countries was reopened after two decades old “no peace -no war” relation was ended following rapprochement policy by the administration of Prime Minister Abiy Ahmed. Ethiopia says it is focusing on business diplomacy in the region as well and is working to improve relations with Djibouti,Somalia, South Sudan and Sudan.